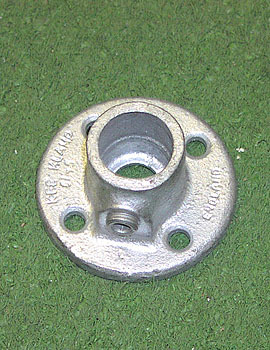 These fittings are galvanized malleable iron castings designed to suit a 3/4" tube. A recessed set screws, tightened by the hex key, firmly lock the tube into the fitting. The setscrew is manufactured in casehardened steel and is coated to protect against corrosion.